Consultant by trade; Foodie at heart. My occupation has given me the blessed opportunity to extensively explore the culinary arts of the world. So why not share all my explorations of food, I thought? As I continue my extensive travel, I have come to the realization that people, our environment and our cultures heavily influence our culinary experiences. To accurately tell the story, these influences must be included. Welcome to Taste of Tiffany! I’m feeling (and looking) so good these days, that I had to share. So, this post isn’t about one special culinary experience that I’ve had, but it is about how I’m embracing a healthy jet-setting, lifestyle and still indulging in the alllll the things I love. Unless you’re super human or have super human metabolism, chances are that you’ve had to “watch your weight” at some point in your life—by choice or by force. Welp, that’s me. I am currently on attempt number 234 at being healthily happy. Except this time I’m 32, travel weekly for work, and had alarming numbers at my most recent physical exam. So, saying I had to “get it together” would be an understatement. I repeatedly asked myself, “How do I lose weight, lower my cholesterol, and decrease my blood pressure while eating what I want?! I love food (only the good kind!). Traveling weekly forces me to eat out four days a week (at someone else’s expense). I vehemently despise working out. I will come up with any excuse to avoid it. One day while sitting around, I had an epiphany! The answer was surprisingly simple! Below I have listed 5 key things that are helping me achieve the life I want! 1. MOTIVATION Sure, its hard some days. But one thing you need is a spark. This could range from anything to a health scare, too-tight clothing, a less than desirable photo, being sick and tired of being uncomfortable, or someone who’s tired of seeing you be sick and tired and encourages you to do something about it. Lucky for me, I had all of the above. So, it was easy for me to get serious once and for all. After the results start rolling in, it’ll be all the motivation you need. 3. ACTION As I mentioned, fitness is not my forte. I’d rather watch television, or cook, or, hell, pull my teeth one by one, than workout. I also hate to workout in front of people. The act of getting dressed and going to the gym pains me. And what the heck am I even supposed to do once I get there?! One day, a friend mentioned FitnessBlender.com! The founders are a couple that has hundreds of workout videos FREE on YouTube for all levels of fitness—little to no equipment needed. Moreover, they have programs that you can purchase for under $10 that actually tell you what to do everyday. Finally, I was out of workout excuses. It’s the best thing I’ve tried yet, as far as working-out goes. I’m dedicated to 5 times a week now, even if it’s merely 20 minutes of High Intensity Interval Training. Dare I say, it can be fun at times! 4. EAT No really, Eat! I make a point not to eat anything that is lacking in taste and to still incorporate the restaurants and food that I love. I’m not compromising on that, and I shouldn’t have to. 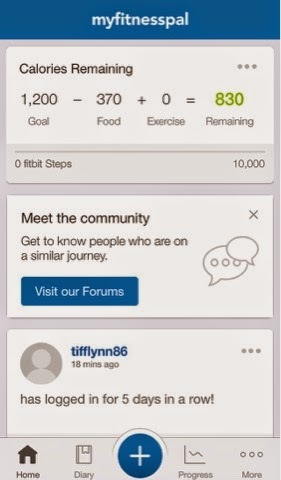 The app MyFitnessPal is my favorite food tracker. Tracking what I eat helps me stay conscious and make better choices whenever possible. I look at menus of every restaurant before I go and research and pick what I’m going to eat. The airports can be tricky, but there’s a better choice EVERYWHERE you go. For example, who doesn’t love Chipotle? Instead of a brown rice chicken bowl with every single topping, I get a chicken salad with black beans, fajita veggies, tomatoes and corn. It tastes juuuust as good and it’s less than over half the calories. And I still get my Chipotle fix. 5. INDULDGE Cheat days? Don’t do it! You won’t want to anyway after you’ve done all that working out and your pants are too big. Cheat item in a small proportion? Go for it! Alcohol is loaded with calories. I’ve tried abstaining but it’s not for me. So I steer clear of the mixed drinks, and if I do have one it’s a skinny Margarita (sugar free mixer) or Jack and coke zero, etc. There’s a certain time of the month where chocolate and sweets are not optional. But now instead of cheesecake from Cheesecake Factory, I have a glass of dark chocolate almond milk or, my favorite, Dole frozen chocolate covered bananas. The point is, if you’ve got to have it, have it in moderation. Currently, I feel like I’m on the right track. After exercising for 10 weeks, losing 15+ pounds, moving down a dress size and a half, and stalking Pinterest for healthy recipes, I realize that I’m hardly an expert. However, I’ve found something that works for me—and there’s something that will work for you too. The best part: I still get to travel the world and have my culinary adventures. Til next time, may you be encouraged. Stay fine my foodies!!!! Great post! I plan to take your advice and make these tips work for me. I oftentimes find myself "too busy" to eat right and workout....no excuses now!